This is a guide for an enthusiast like you to explore your own imagination and incorporate them in your robot for ROBOTIX ‘16 edition.The tutorial lists out all the skills that the event requires your bot to have and tells you exactly how you can implement each of them. And finally, find our ‘Tips’ to put together all your mechanisms and build a winning robot! 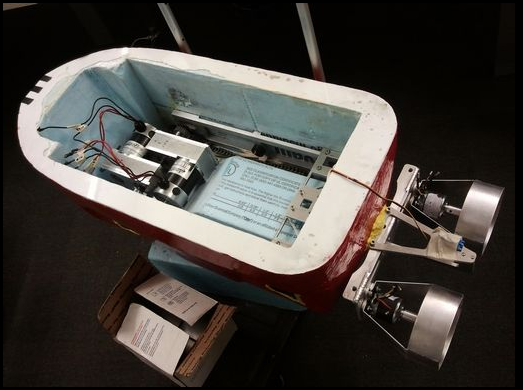 There are several important things to be considered when building a robot boat. There are weight issues, balance issues, hydrodynamics, waterproofing, the actuator, and sensing problems. 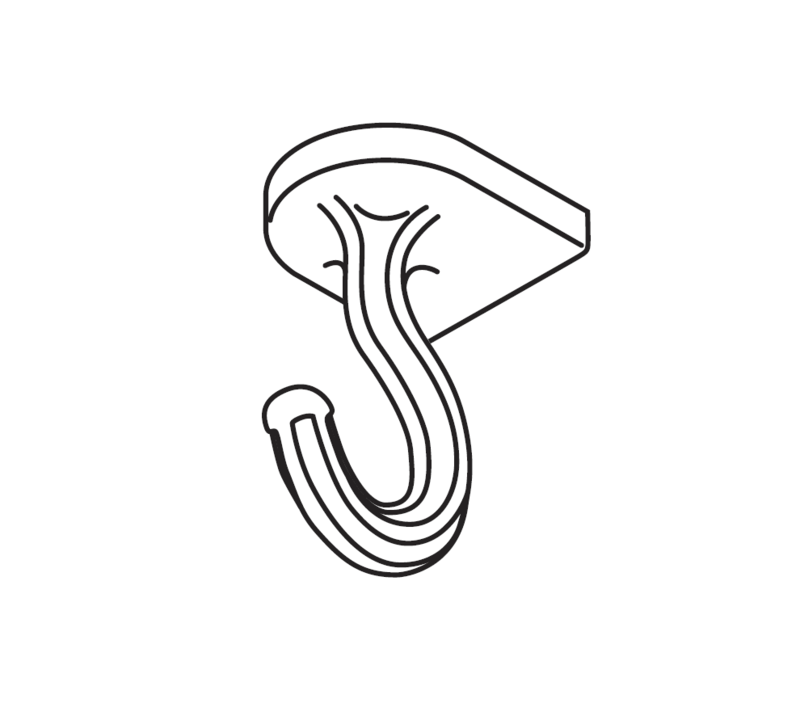 There are many different designs that can be made, here is one of them. Weight is important when loading the robot boat with various equipment. It needs motors, batteries, sensors, controllers, it all adds up. If the weight is too much, the boat will sink dangerously low - or at least add a lot of drag to its movement. Fortunately, this is an easy calculation to do. First add up the weight of all components for the entire boat, including the hull. Then estimate the desired length and width of your boat hull. The sinking depth of the boat has to be as minimal as possible, but yet deep enough the actuators can go into the water. If making a robot sub, then the sinking depth has to be equal to the height of the sub, to obtain neutral buoyancy. Density of water is about 62 lbs/foot, and in salt water about 64 lbs/foot. To keep it simple, the paddle wheel is chosen. 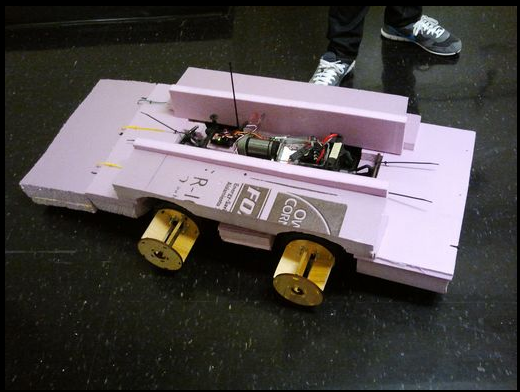 Unlike propellor driven boats, this type of actuation allows for the use of the most simplest robot control algorithm - differential steering. Propellor driven boats are designed for speed and efficiency, but they don’t perform so well in maneuverability. They also pose significant control algorithm challenges. Even more important, a paddle wheel boat can do 360’s without ever moving forward. 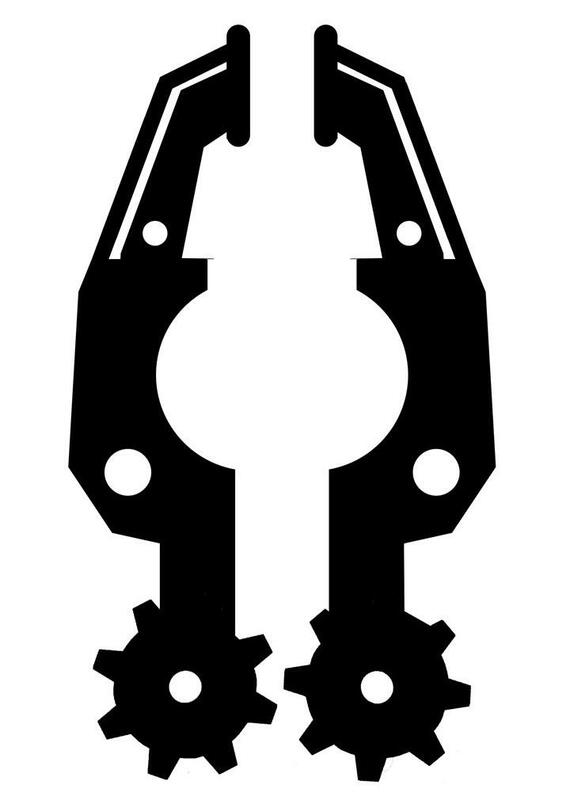 This link shows the paddle mechanism. 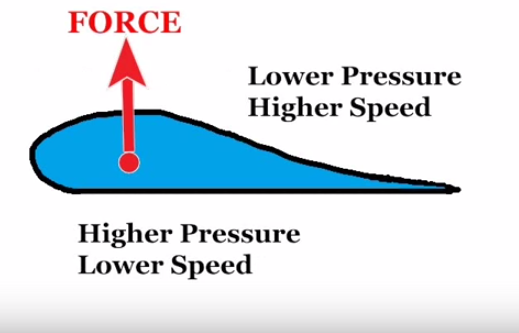 Basically a propellor is made up of a twisted airfoil-shaped blade.Different regions of blade acquire different speeds due to spinning of the blade.Fluid sections near the centre have lower speed whereas fluid sections near the tip have higher speed because of greater radius.This movement of blade draws fluid.As pressure of the fluid is inversely proportional to speed of the fluid (Bernoulli’s principle).Fluids flow from high pressure to low pressure.By Newton’s third law,there is an equal and opposite reaction to every action.As fluid flows in the backward direction,the boat is pushed to move forward.This is how a propellor works. 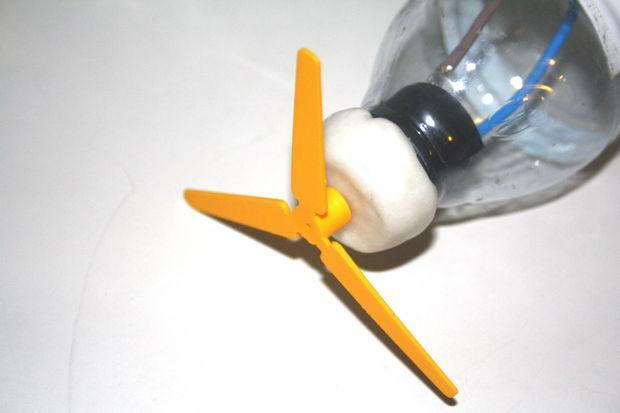 Take out the bottle cap and insert the motor on its mouth (you can use some insulating tape if you see that there is space between the motor and the plastic). Use polymorph to seal the bottle. We have used a polymorph extruded tube to pass, give structure and pass the motors’ wires and insulating tape just to support the box. 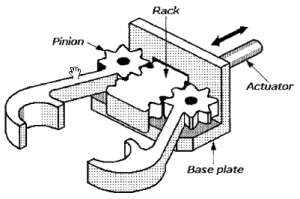 This video link makes the propellor mechanism easy to understand. 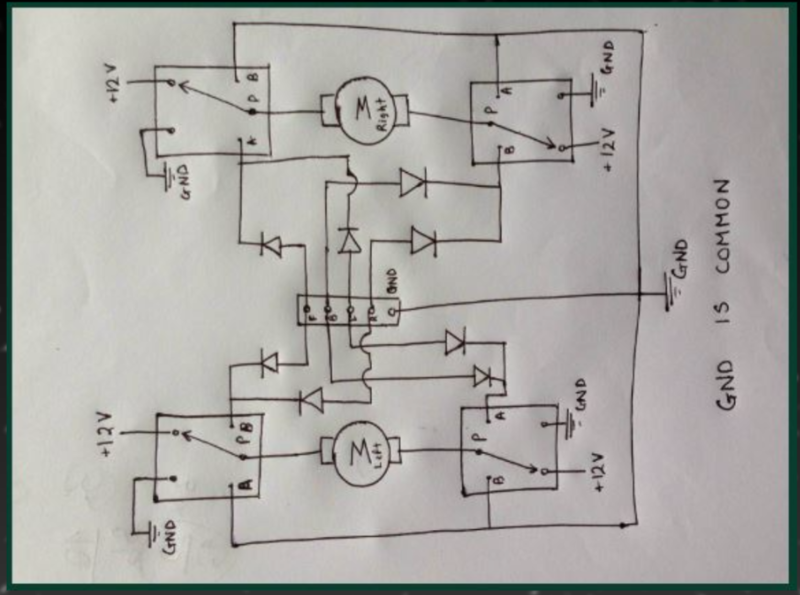 This is the circuit design for differential drive. When the motor is switched on in one direction, the moving part comes close to the fixed part and thus clutches the object in between. When the motor moves in other direction the moving part moves away from the stationary part and thus the object in between is released. 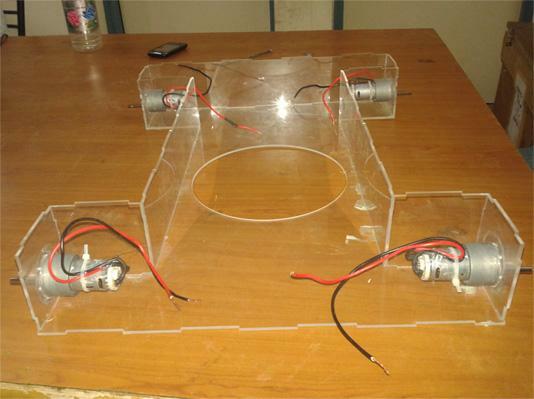 This mechanism covers the description of mechanical design of amphibian robot capable of both land and water locomotion driven by motors. 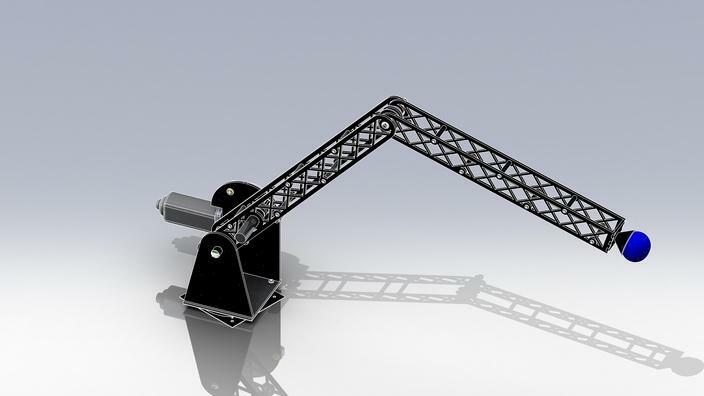 The part where we need to build a robot that can transverse on land is quite easy. But as we need it to float on water, we design the bot in such a way that it is slightly positive buoyant. 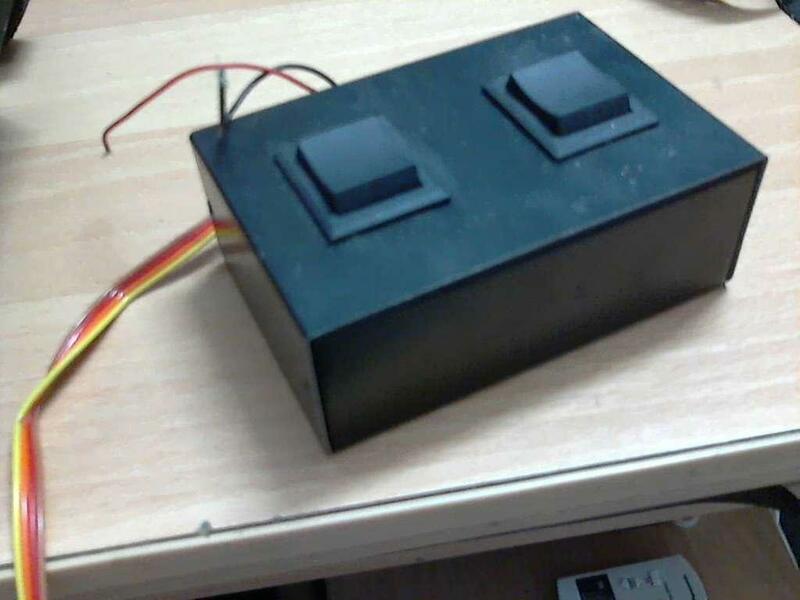 The robot’s body is made of acrylic, as we need to make it positively buoyant, so a light weight material like acrylic, having density of 1.18g/cm3, is best. 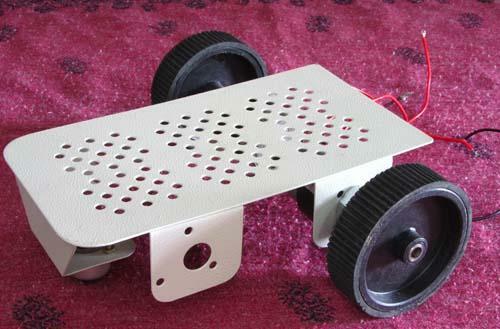 Acrylic sheet is cut into different parts of the robot using water jet or laser cutter. Each part of the robot has grooves in it, so that each part fits in properly. This provides extra strength to the robot. 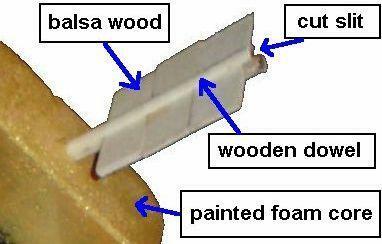 Acrylic parts are joined together using chloroform, which works as an adhesive for acrylic. The Robot moves on land simply with wheels. 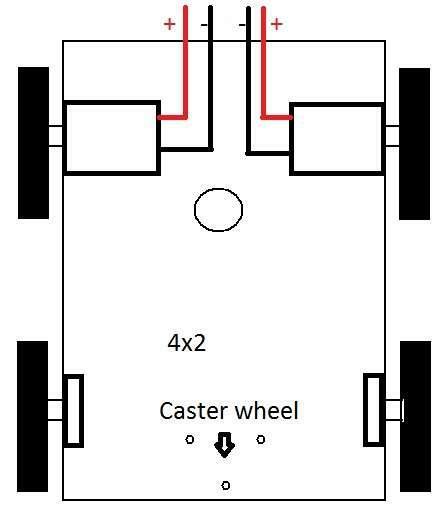 Four wheels are attached at each corner of the robot. Two wheels at each side move in same direction always. 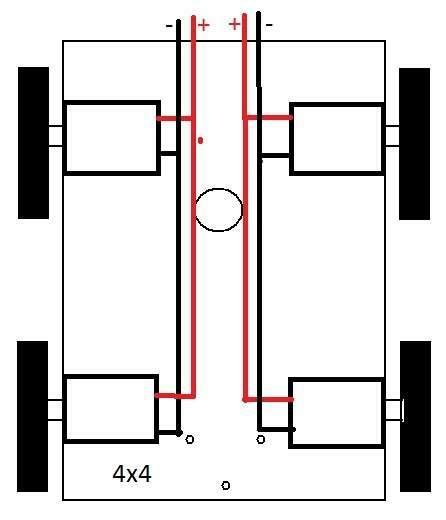 The robot moves in front and back when each pair moves in same side. 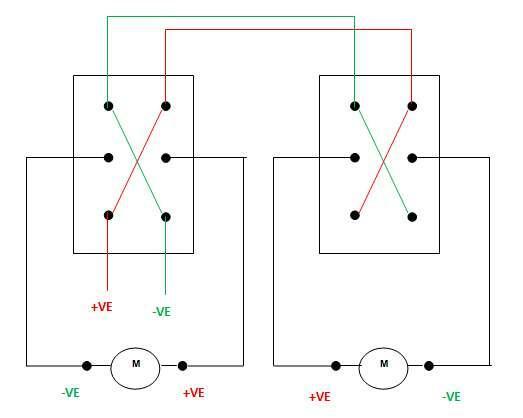 It turns right when right pair moves in back and left in front direction and vice versa. The wheels are made of wood, having a diameter of 16 cm. 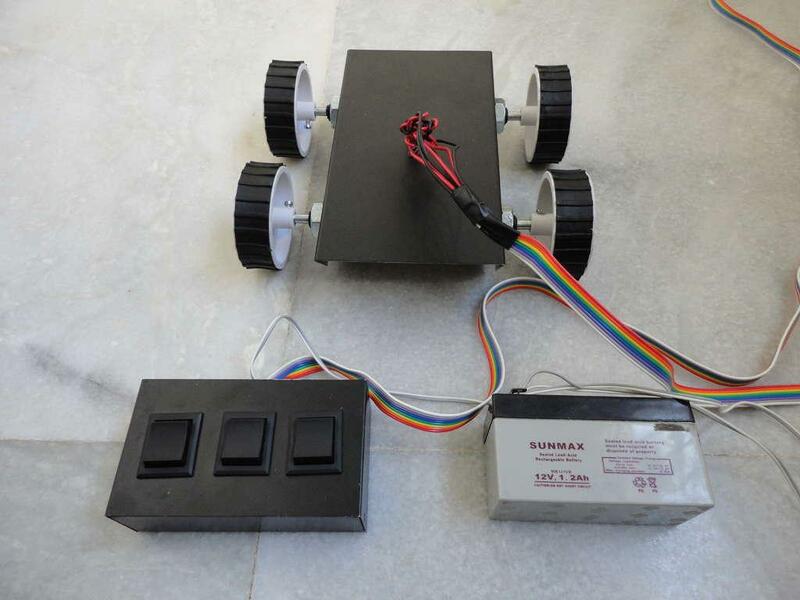 Wheels of large radius are needed for better ground clearance, so that bot can travel in rough terrain without damaging any of its parts. The wheels have aluminum angles screwed to it. They help the robot to push water effectively. The robot can easily move on water surface with the help of propellers present at its back. To make the robot advance on water surface we need to keep it floating. Thus, the buoyant force should be greater than weight of the body. 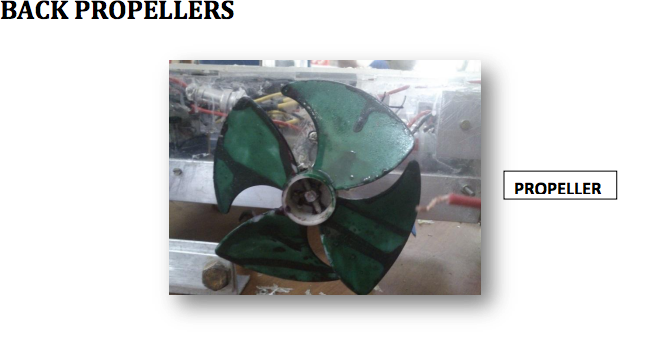 There are two propellers present at the rear of the robot, made of plastic and having a diameter of 11cm. They help in locomotion on the water surface. As the ground clearance is small we are not able to use large diameter propellers at back, otherwise they will touch the ground. 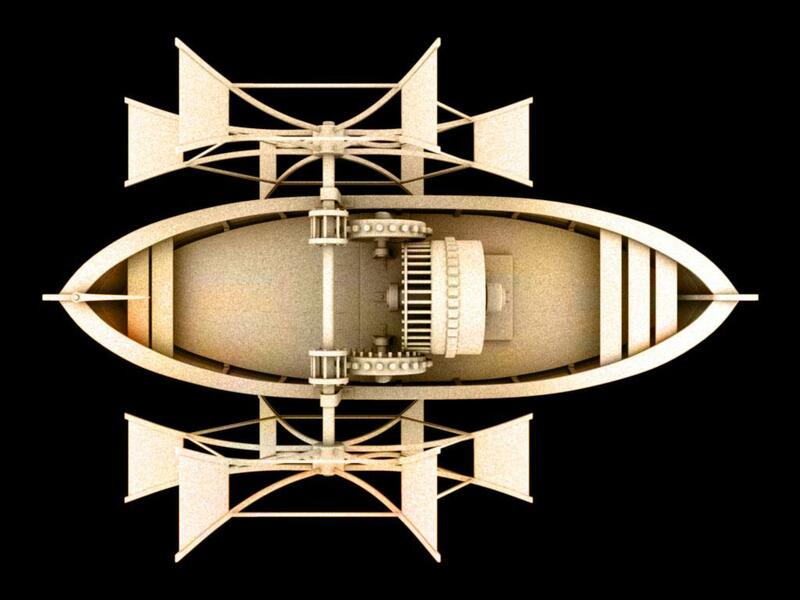 Underwater locomotion is achieved by taking the robot inside water using a central propeller. The Aluminium angles attached to the wheels provide enough thrust to change the direction satisfactorily. 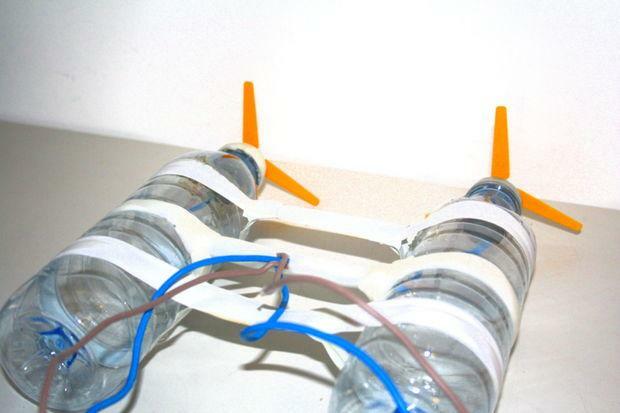 The central propeller pushes the water upwards which provides a downward thrust to the robot and it goes inside water. The most basic problem with this design is the conservation of angular momentum. 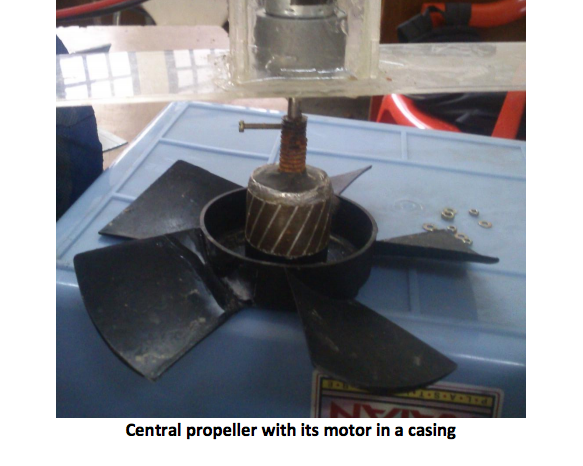 As the central propeller rotates, the robot rotates in opposite direction to counter the angular momentum. Here are certain video links to explain the working further.